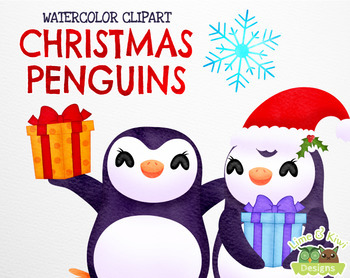 Our Christmas Penguins Watercolor clipart package has been made with love for the purpose of being used on digital products, and for printing! It is perfect for scrapbooking, digital work, stickers or card making! 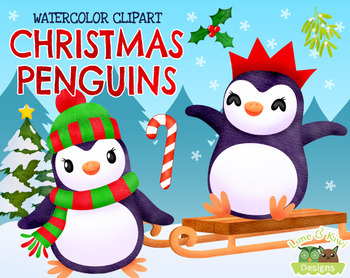 Included in this pack: eight Christmas Penguins, a candy cane, some holly, some mistletoe, two snow hills, five snowflakes and some trees.